Are you looking for something unique, a touch of history combined with a look at the future of the “old docks”? Come and stay in our Captain’s Cabin! ‘Helena’s Captain’s Cabin is located at the other side of the water @ Schipperskaai – very close to NOAH. In the future neighbourhood ‘De Nieuwe Dokken’. 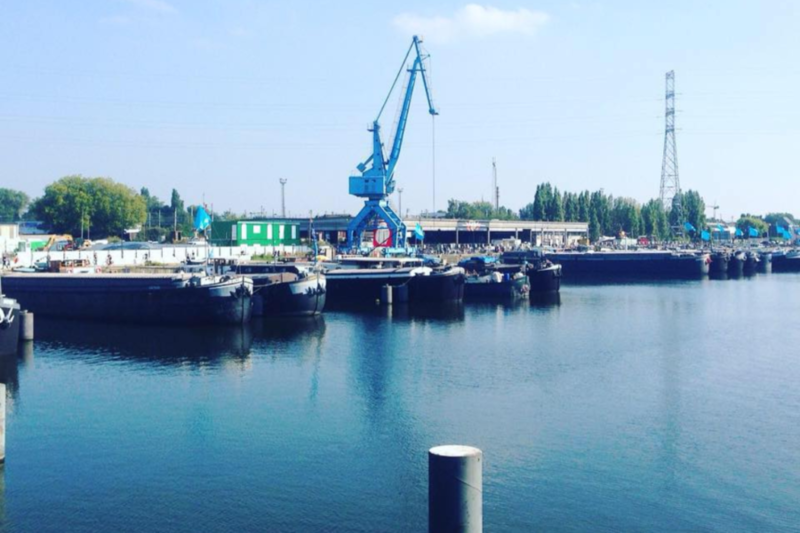 In city’s harbour with the concrete plant and the cranes as historical beacons, nearby Dampoort station and close to the beauty of the Centre of Ghent.